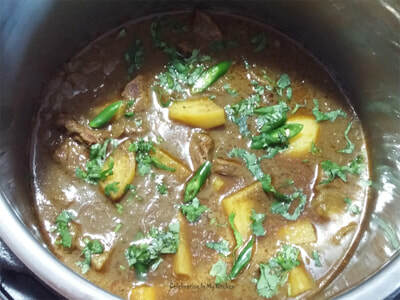 ​To prevent excessive coriander leaves from going bad in the refrigerator, I use them to grind this green paste, which is so versatile and comes in handy. 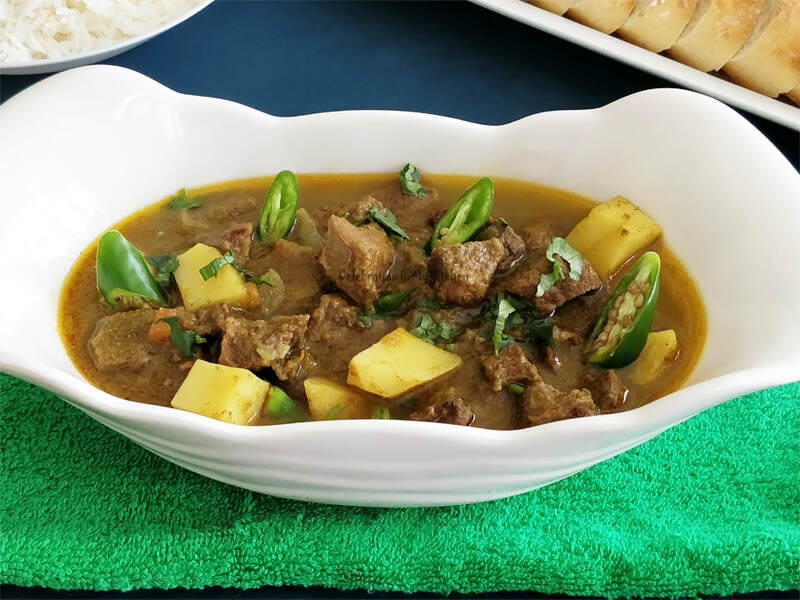 An aromatic and mildly spiced paste that goes well with ground meat to create a delicious dish. Best enjoyed with pao (bread) or can be eaten with rice. 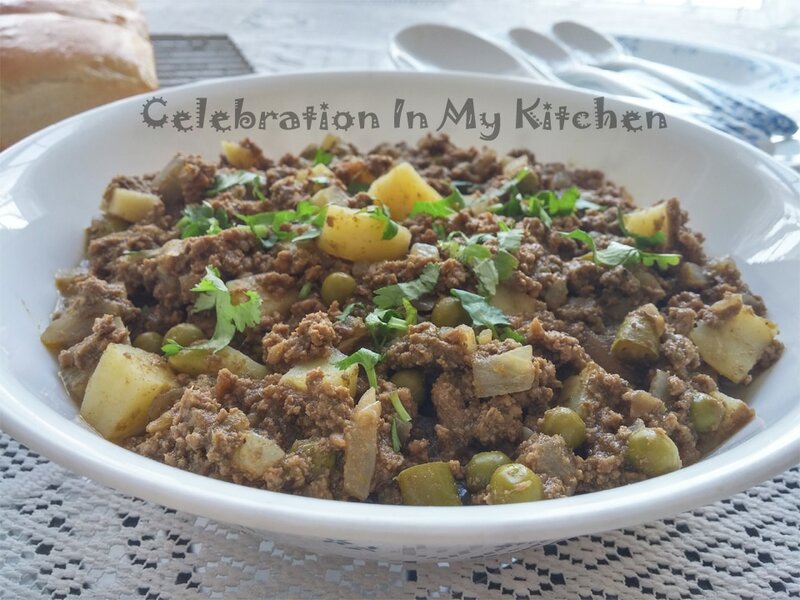 Mince is budget-friendly, quick and easy to prepare. Tougher cuts of meat can be used to grind into mince. When ground at home, the quality of meat and amount of fat can be controlled. 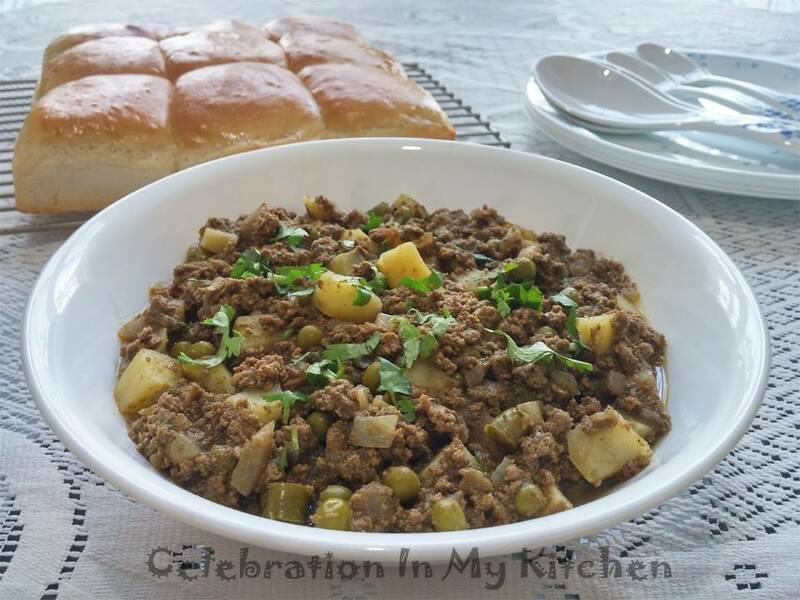 Various vegetables can be added to the mince according to your preference to create a substantial dish. 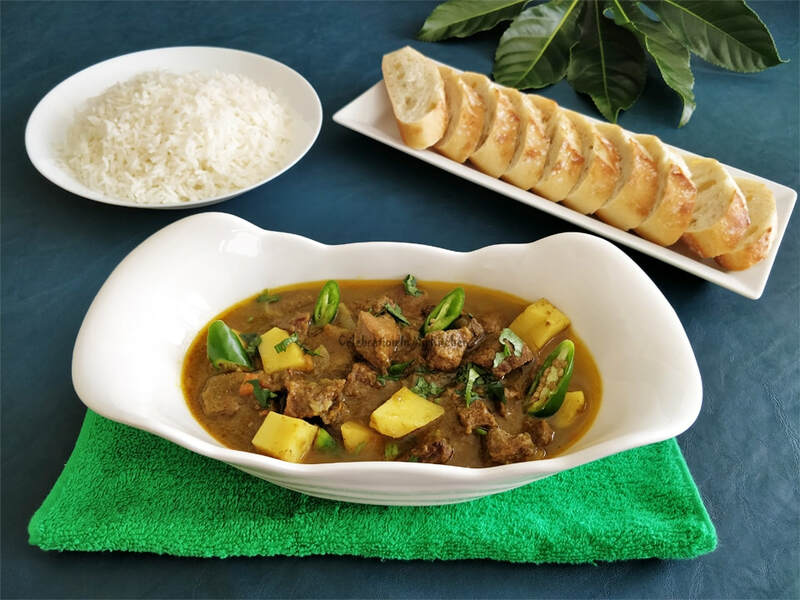 This savoury mince is flavourful, delicious, with the spice balanced with tamarind water and vinegar. 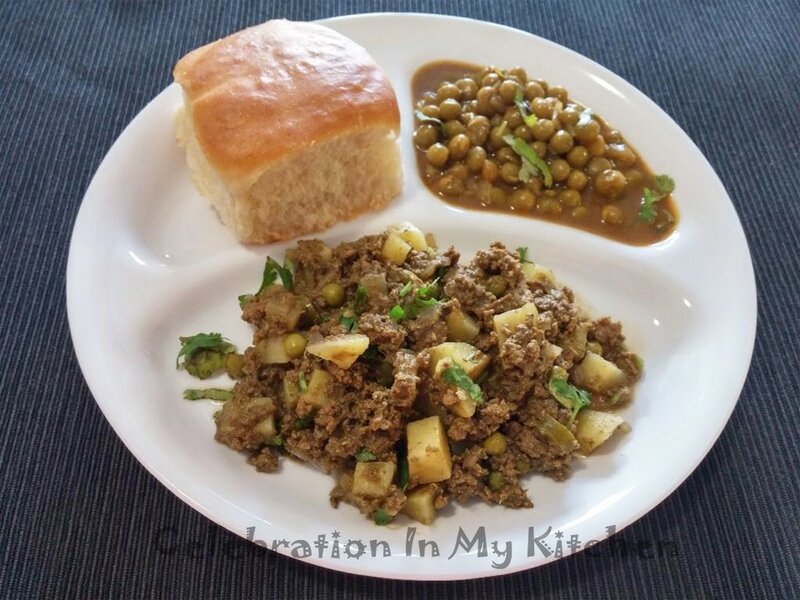 Another variation of cooking ground meat the Goan way. 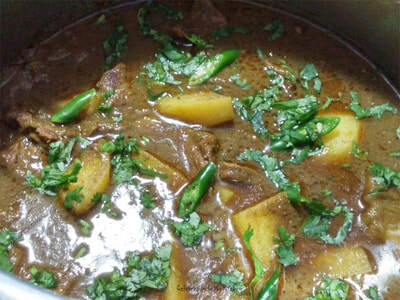 Mix in the tamarind water, 1/2 cup water, green chillies and potatoes. Cover and simmer on medium heat until potatoes are tender. 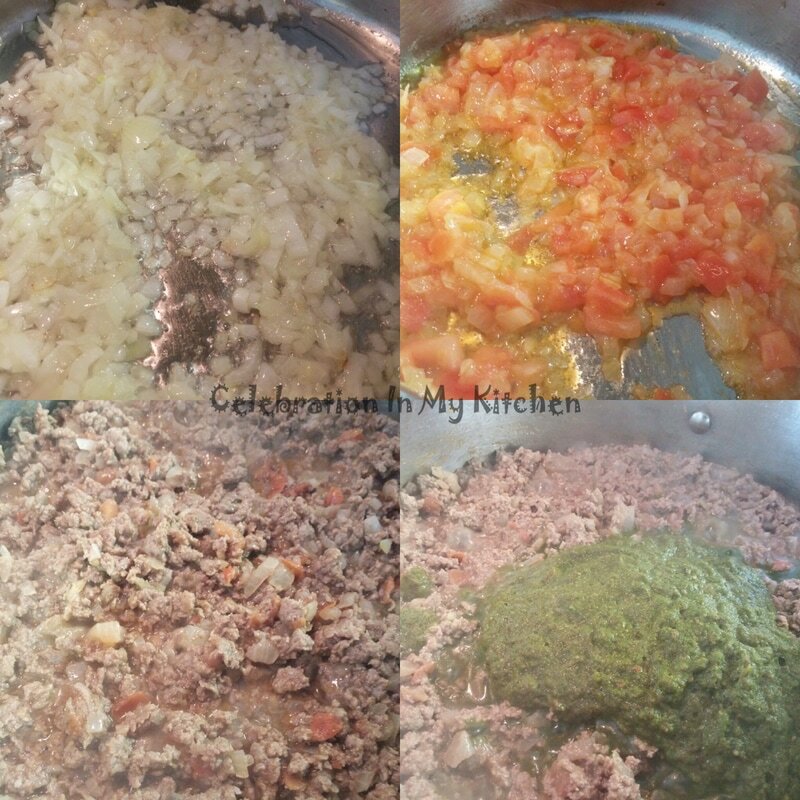 Ground meat was substituted with sliced meat (pictures below). Only a dash of water (about 1/4 cup) was used to rinse the blender jar. Tamarind water was replaced with 1 tablespoon of tamarind paste. Then, pressured cooked in the instant pot for 15 minutes, followed by quick release with the potatoes incorporated and pressured cooked for an additional 4 minutes. 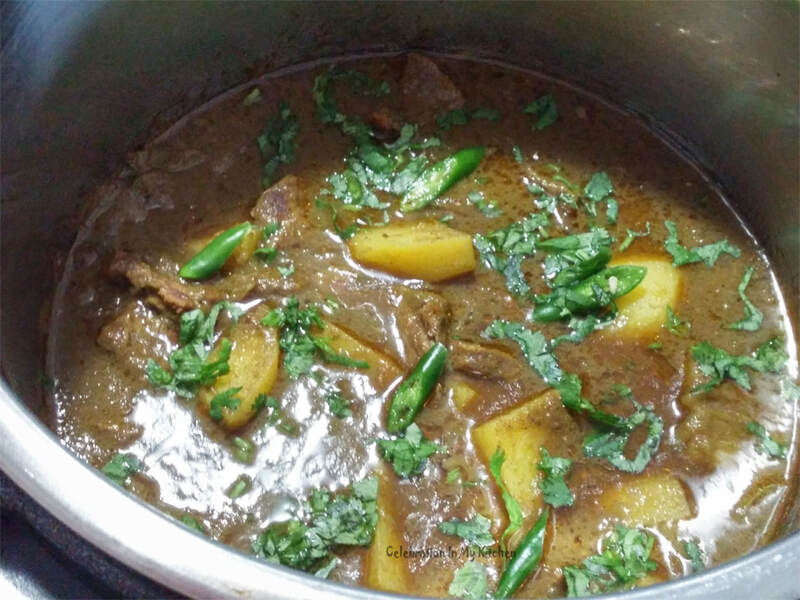 Steam released immediately with the gravy garnished with coriander leaves. Omit the green peas. Beef pieces were substituted for ground meat (last two pictures). Pressure cook beef until tender. Then incorporate the potatoes.